My wanted my second entry for The Craft Barn Two Weekly Challenge - Poppy to be more abstract, so started with a stencil that I thought could be turned into a poppy. 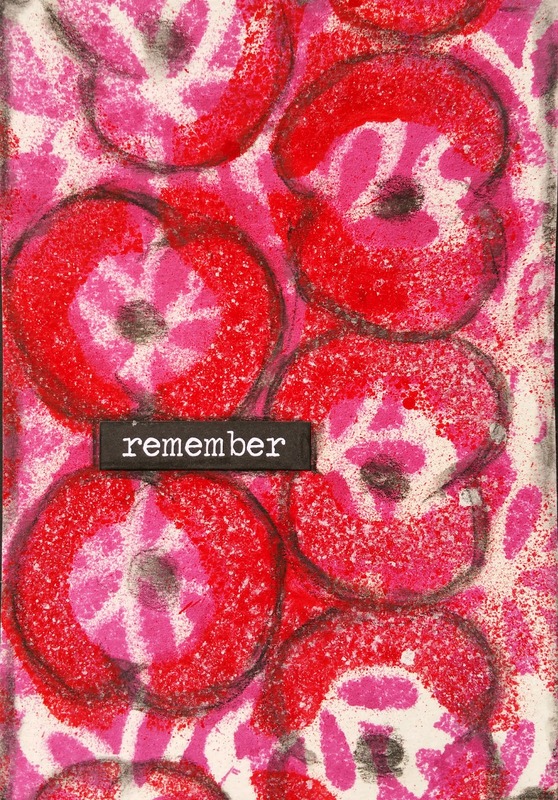 I sprayed with DecoArt Media misters in magenta and red. Another floral stencil helped to fill the spaces. 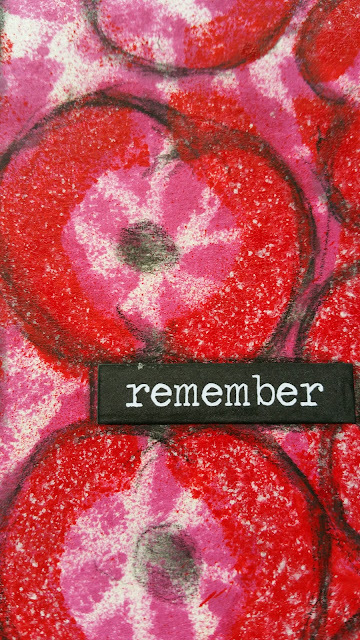 I then outlined the stylised poppy shapes used in the remembrance poppies with a black watercolour pencil and mounted on a black card.